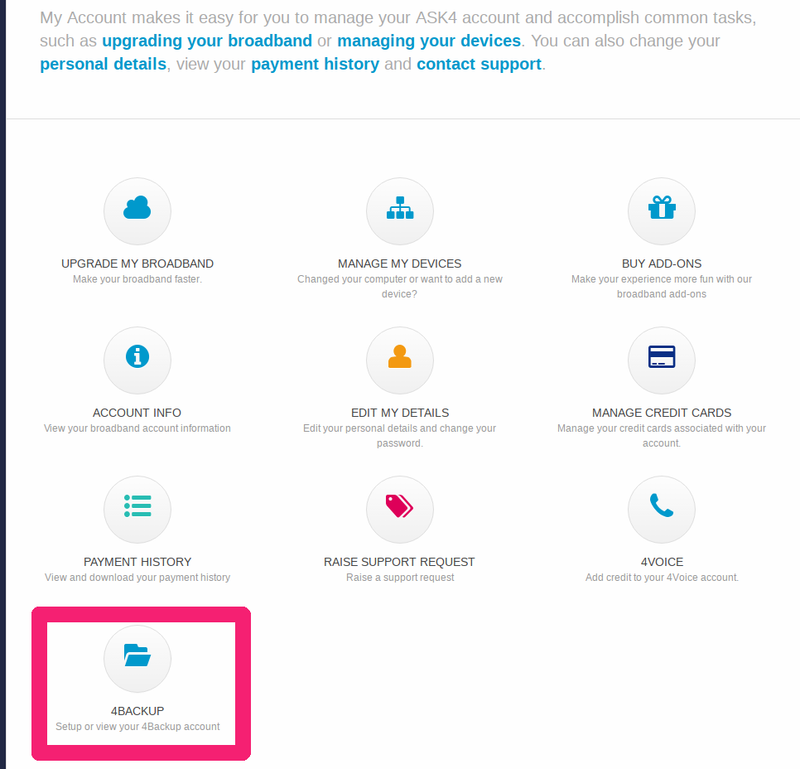 Once you have created an ASK4 account and purchased the 4Backup add-on you need to create a separate 4Backup account through the My Account portal and you can do this by following the steps below. 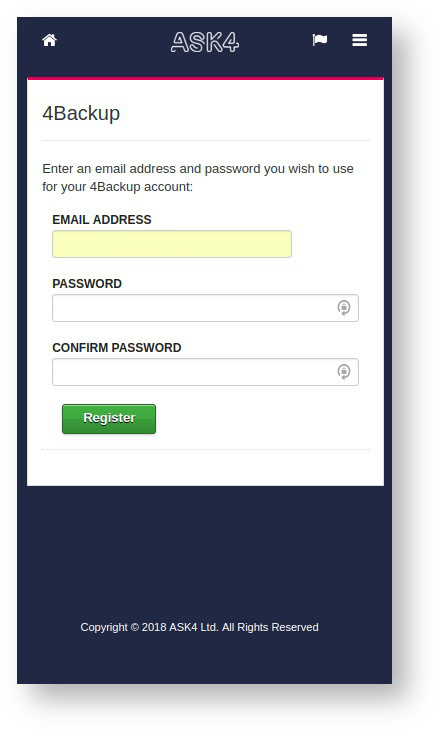 To start with simply head to the 4Backup section either through the homepage or the “Jump to section” portion on the left should you be elsewhere at the time. Once there you will be prompted to create an account, this can be any email address and password combination and does not need to match what you have set for your ASK4 account. After you have completed this you will be able to login at www.livedrive.com to begin backing up your files.